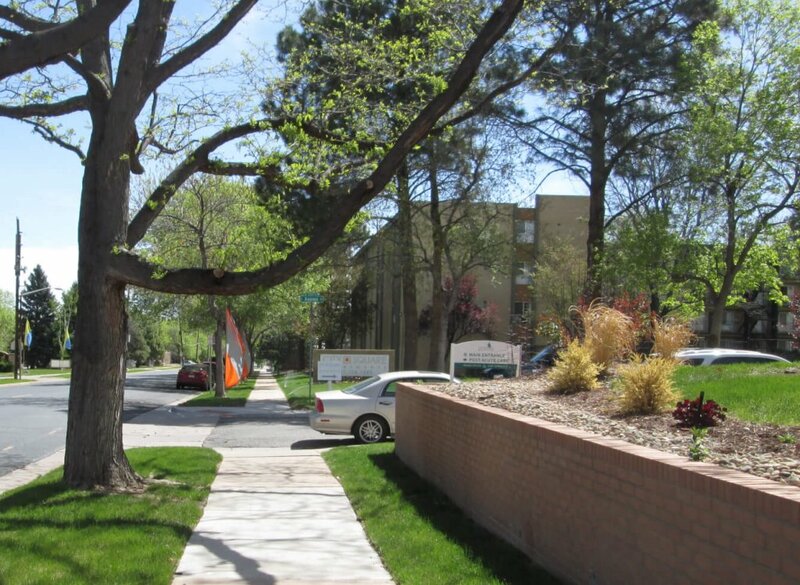 Goldsmith, the neighborhood halfway between Denver Tech Center and Downtown, originally shared its boundaries with South Denver before it annexed to Denver. Folks from this area at the time didn’t want to associate with the ruckus of the wild west, and instead took its cues from Denver University to be a bit more refined. But I was not able to find any information about how Goldsmith became its own neighborhood nor how it got its name. 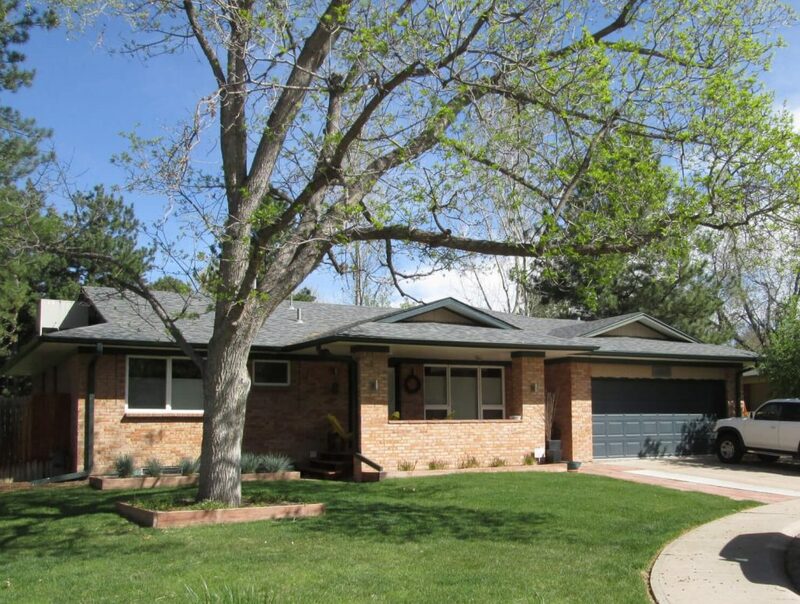 Even the neighborhood itself, with its funny shape of a lopsided horseshoe with the rough boundaries of Quebec, Evans, Iliff and I25 quietly hides north of Bible Park. None the less, it does have two good trails that run through it, and thus, our walk traveled these urban hikes in Goldsmith. The Goldsmith Gulch runs along the neighborhood’s east side. Put in by the City to control flooding, this short trail travels the gulch for just under a mile. Unlike its neighbor creek to the west, Westerly Creek, which is lined with concrete, this urban trail’s creek bed has a beautifully crafted stone border keeping the gulch neatly within its banks. 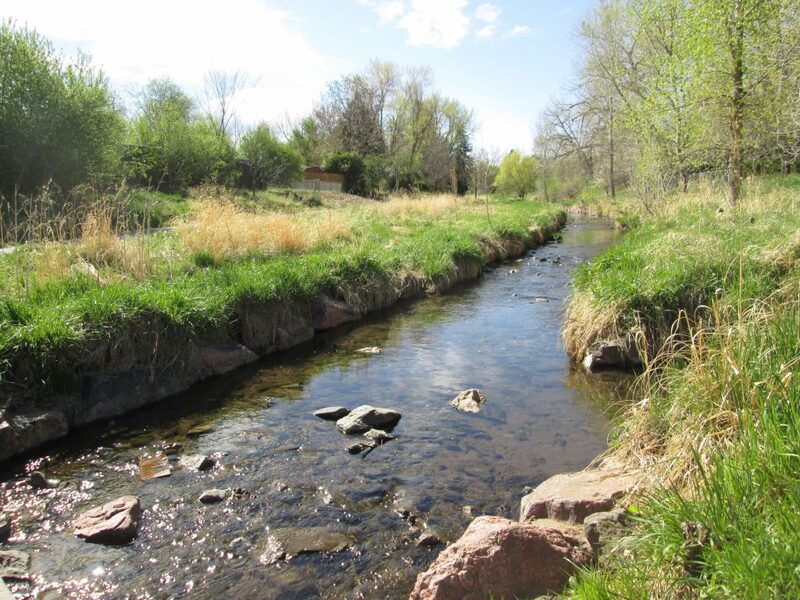 Combine the Goldsmith Gulch trail with its western neighbor trail, the High Line Canal trail, which is also within the neighborhood, and you can either walk a nice 3-mile loop or jump on the High Line and head to either Waterton Canyon or Green Valley Ranch. Sandwiched between the two trails are cul-de-sacs filled with nicely kept homes from the 1970s. A bevy of apartments homing students and workers from DTC, University of Denver, and downtown stand along the major thoroughfares. There’s quick access to I25 and Quebec, giving residents easy ways to get around Denver. Small businesses and a few Denver mainstay restaurants like La Fagota keep the neighborhood interesting. Bible Park sits south of the neighborhood, and you’ll find residents crossing Yale to get into the park. The High Line also makes a horseshoe loop in the park, opening up a longer loop walk in case anyone wants it. 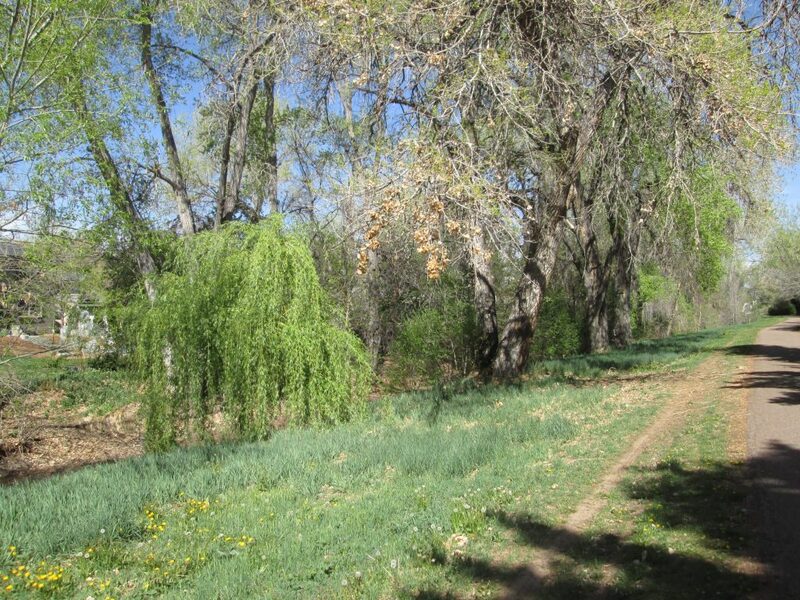 So, despite a choppy shape and lots of cul-de-sacs, you can find a nice loop to walk on two great Denver urban hiking trails.